Did you know Luxco products can now be found in more than 43 countries around the globe? Due to the hard work of the international sales team, more folks are able to enjoy the Luxco product portfolio. The international sales team is comprised of Sales Director Greg Mefford, as well as International Marketing Manager Sara Downard and European Sales Manager Thierry Tronquit. The team’s goal is to drive awareness and distribution of Luxco’s portfolio of products on an international platform. Before joining the Luxco team four years ago, Greg spent almost 15 years developing the European distribution market in the wine industry. 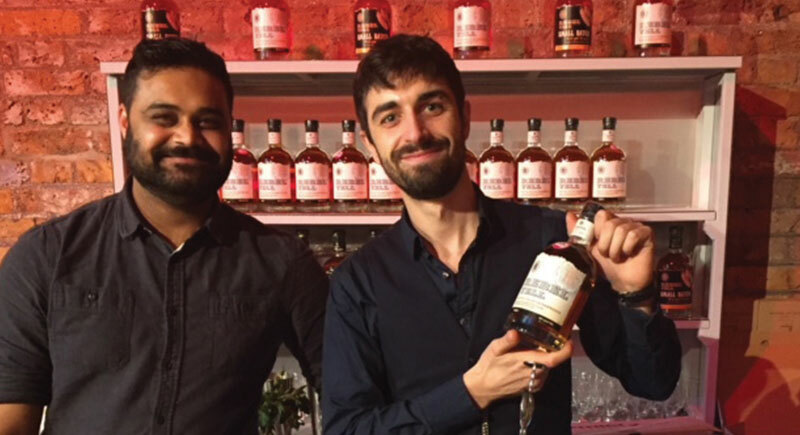 He says the greatest challenge for the team is to educate European consumers on American whiskey and encourage them to approach bourbon and American rye whiskey the same way they would consume Scotch or Irish whiskey. In addition, as tequila is still relatively new in Europe, it’s important to assist consumers in discovering it and educate them on how to appreciate fine 100 percent agave tequila. In fact, Rebel Yell or Ezra Brooks are in three of the list’s prestigious top 10 bars, located in Singapore and Hong Kong. Greg also notes that the interest in American classic cocktails, such as the Old Fashioned, Sazerac and Manhattan, is driving much of the interest in bourbon. “The cocktail resurgence has been felt in Europe as well, and we are perfectly positioned to take advantage of this,” he says. Cheers to a successful 2019 sharing our award-winning portfolio with the world!